. . . and real magnificent. Community is essential to our spiritual formation. No matter who you are or where you come from, no matter how introverted you find yourself or busy you may be, a Gospel community is non-optional in your discipleship to Jesus. It provides the context for where we are transformed as we live connected to other followers of Jesus. It is where sin is exposed and sinners are encouraged. 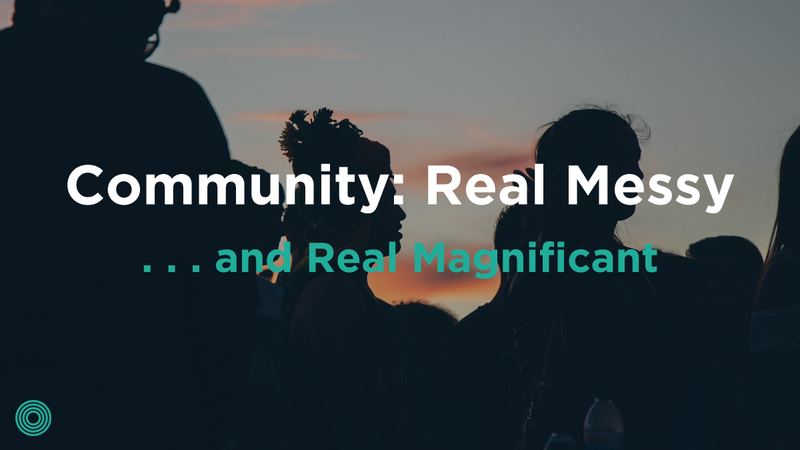 Community is essential to our spiritual formation. Community, however, is messy. Christ-centered relationships are beautiful; developing them can seem to take a lifetime of work and sacrifice, leaving us wondering if the reward really outweighs the cost. Maybe this is where you are today. You stepped into a missional community looking for life-givers but found only life-takers. You signed up for deep relationships with gospel-centered encouragers but discovered a group filled with annoying, self-absorbed, needy sinners just like you and me. 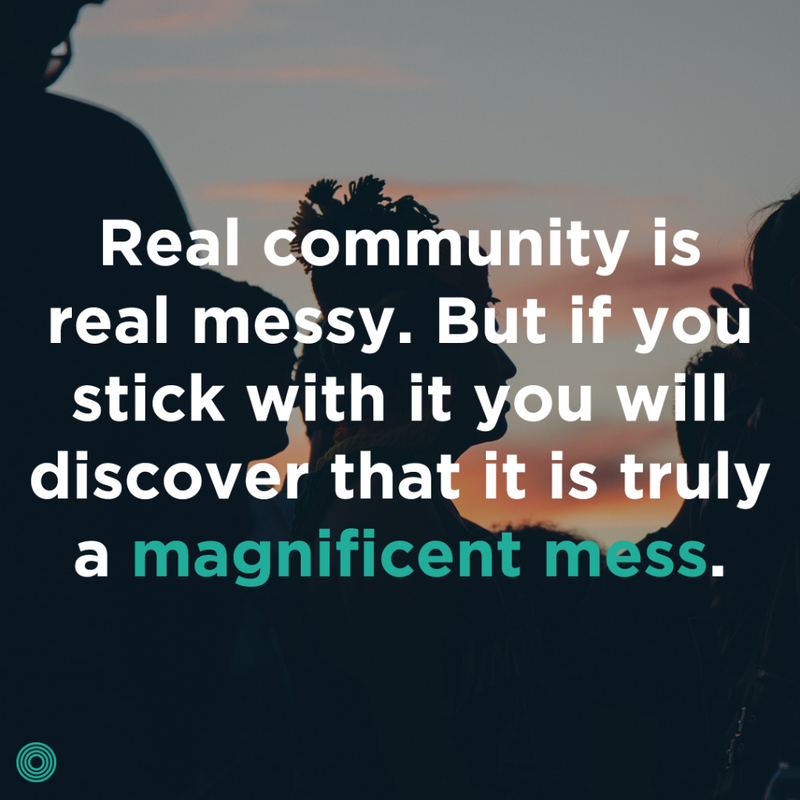 Real community is real messy. But if you stick with it you will discover that it is truly a magnificent mess. When we first step into a gospel community, we start out on “Happy Hill.” Happy Hill is surface-level, but it’s fun. It’s the honeymoon stage of community where we tend to see all positive and no negative. It’s a great place to be! Eventually comes the letdown. Because community is filled with imperfect people, it’s merely a matter of time before conflicts arise and weighty issues begin to surface. We call this “Crappy Valley,” and it’s the place where most people want to check out—but it’s here that Jesus wants to do some of His most beautiful work in us. We all long to be in a family where we can be known, belong, and be loved. This experience is possible for all of us, but only if we are willing to journey through Crappy Valley with our brothers and sisters in the faith. This will feel like a climb. It takes sacrifice and hard work, but in the end, if you will not grow weary in doing good, you will reap what you sow. Not only will you begin to discover your true self, but authentic gospel community will be formed. We call this “Family Mountain.” It takes time to get there. It will cost you something. But the view is beautiful! 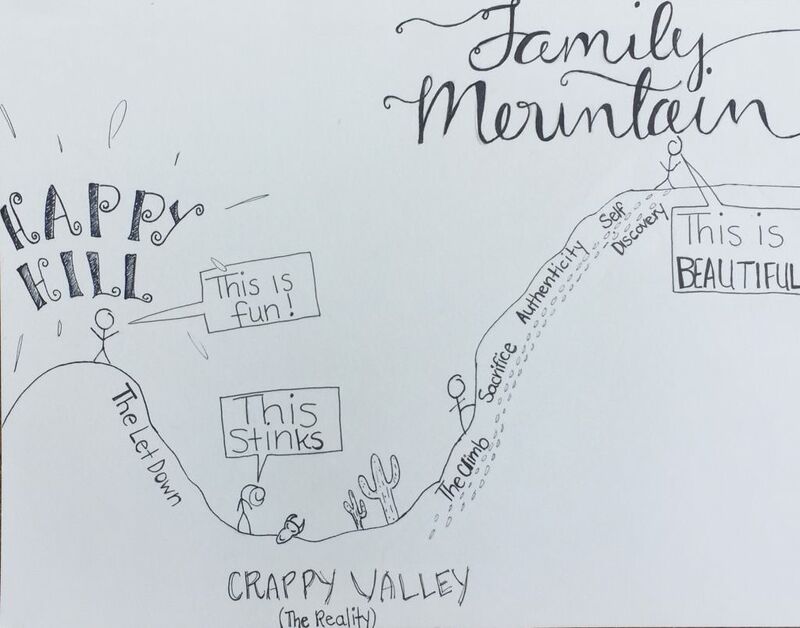 What phase of the journey to Family Mountain are you in right now? Thanks for providing some simple descriptors for this common experience, Jared! The challenge I’ve found is bringing people with a traditional small group experience to the reality that Crappy Valley is ahead, and that when ugly gospel needs arise, it’s not a reason to decide to leave the group. So many come to MC with a romanticized ideal of small group life. The graphic is a great tool to help people see what MC life can actually be like.